I'm not a huge Olympics guy. If I'm channel surfing, I'll give it a go. But the Summer Olympics is by far my preference; I just don't enjoy the winter weather. I do, however, love me some curling. In every Games there's always a story that demands our attention. Sometimes it's the Tongan flag bearer (no hyperlink provided), but often it's an unbelievable result from one of the competitions. Over the weekend I identified my most memorable moment from these Olympics. Until I searched Wikipedia, I had no idea why they called one of the downhill skiing events the Super G. The only thing I knew about it from the either the men's or women's side was that American sweetheart, Lindsey Vonn, was competing. But Vonn had nothing to do with the unbelievable outcome from the women's event. After a dominating performance by defending champion Anna Veith of Austria, everyone assumed the competition was over. Apparently, in the Super G, the first 20 attempts are taken by the sport's top 20 competitors. After that, the also rans—those with no real chance for victory—take their shot. Hence, when Anna saw that all the serious competitors had finished, she assumed she had won, even though there were still a dozen or so skiers to go. Anna's competition had already admitted as much; they were giving her congratulatory hugs. Heck, even NBC stopped covering the event, declaring the Austrian to be the gold medalist. 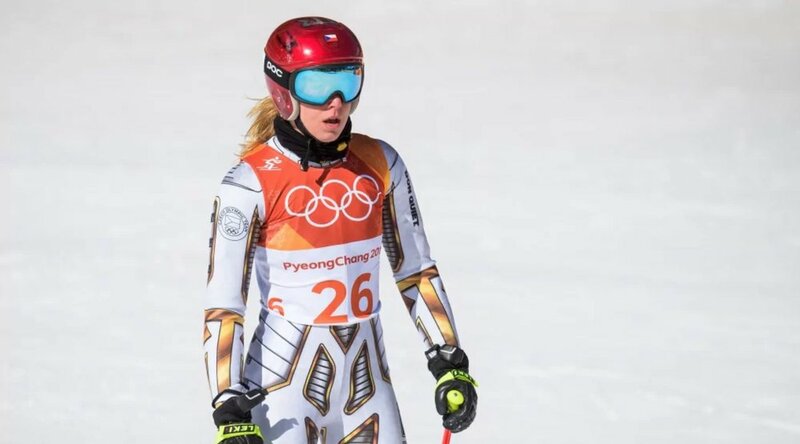 When Czech snowboarder Ester Ledecká, ranked 43rd in the world, stood at the top of the hill, even she didn't think she had a chance. You didn't misread that. Ester is a snowboarder who just started to compete competitively in skiing a couple of years ago. The commonality between skiing and snowboarding is minimal: beyond the fact that they both take place on snow-covered mountains, there's very little overlap. Ester isn't a horrible skier, but she had never placed in the top 25 of any Super G event. Yet because she qualified to compete in the event at Pyeongchang, she was determined to give it her best. She gave her best and then some. At the end of Ester's nearly flawless run, she looked up at her time and couldn't believe it: she was in first place. I love her reaction at the bottom of the hill as she tried to process what happened. Ester just couldn't believe her time was accurate, but it was. She won the gold medal. And, adding to the legend, she used borrowed skis for her winning run. These are the kinds of stories that make the Olympics compelling television. But it's more than pure entertainment. When expert pundits are blown away by a result, you must examine why and how they couldn't see this coming. If the Super G was a subjective sport—like those where judges can arbitrarily skew outcomes—the outcome wouldn't demand such serious reflection. So even though I've clearly established here that I know nothing about skiing, my research into this event leaves me with three reasons as to why Ester took gold. 1. She had competitive experience. Ester's success as a snowboarder didn't help her skiing technique, but it prepared her for stiff competition. You know those people that, whether it's an athletic contest or a board game, refuse to lose? That's how Ester viewed this opportunity. Ultimately, this is a small component of the Czech's victory, but it cannot be ignored. You always need to show up ready to play. 2. She was mentally prepared. There's an improvisational element to the Super G, as competitors are not permitted to ski the course ahead of time. As a result, all the skiers are getting their first look at the track during their first (and only) run. This, then, rewards those athletes who can quickly adjust and process new information on the fly. All the commentators noted that Ester took the most aggressive line down the hill of any of the competitors. Even though her experience/skill was not as robust as Anna's, she didn't know what she didn't know and was prepared to risk it all. Her quick thinking and reaction put her in a position to succeed. 3. She checked her ego at the door.
. . . or at the top of the hill . . . or however this metaphor works. I hold that this is THE reason that Ester won gold: she wasn't afraid to fail. In today's culture of perfectionism, few people are willing to try things new, especially those who have already tasted success in another field. Ester knew she wasn't going to be as successful in skiing as she had in snowboarding, but she decided to try anyway. It's why I absolutely adore this story: she could have made a fool out of herself, but she gave it a go and now has a gold medal to show for it. There's so much conversation in the pop-business world about disrupters, but those who actually disrupt never start with the intention to do so. It starts organically—just like when a snowboarder decides she'll try her hand at skiing.